In February 1932, while the country felt the grip of The Depression, Marshal and Tanya South came to this mountain to build their home and live off the land. They raised their children here, wrote magazine articles, grew vegetables, gathered native plants, and after 16 years decided to call it quits. Yaquitepec, or Ghost Mountain, still carries the reminders of South's homesteading adventure. The steep, mile long walk to the homesite will give you a breathtaking view of the land the South family called home. Look for signs of the ingenious water system with its cisterns and troughs. The adobe structure is quickly becoming a victim of the elements. Living off the land proved difficult. Supplies had to be brought by Model T from Julian and carried up on foot. Tanya South tired of her eccentric mate's life-style and the family split up, leaving Yaquitepec to the sun and the wind. 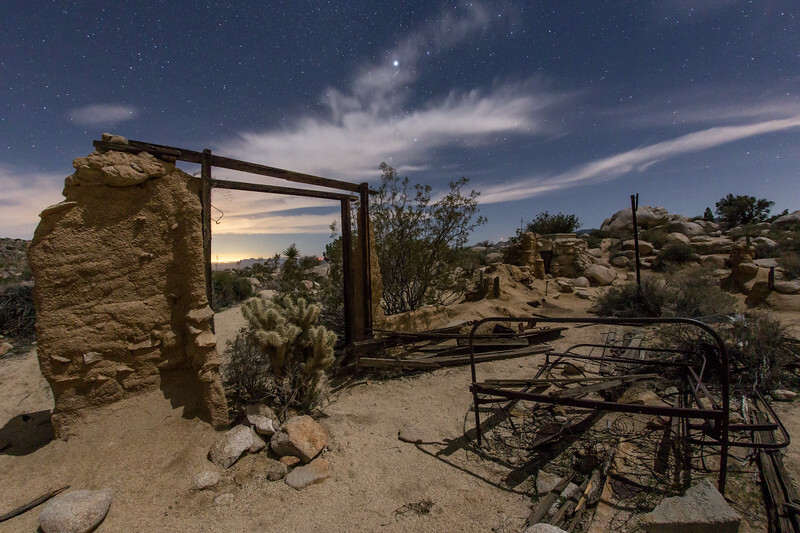 The stories of the South family fade with time in the pages of old copies of Desert Magazine but the melting adobe and the garden terraces will remain atop Ghost Mountain for years to come.